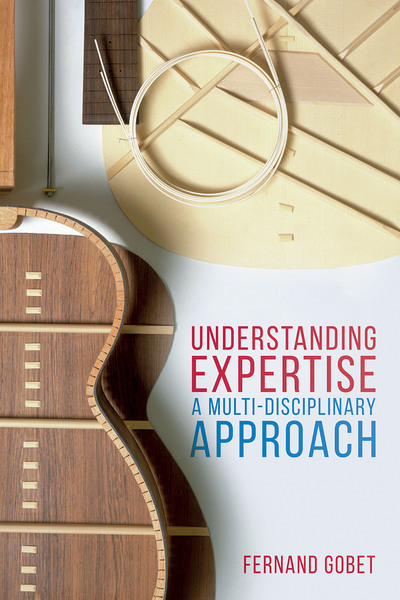 "Understanding Expertise is beyond doubt the most comprehensive single-authored book devoted to how expertise permeates human performance in a diversity of domains. It has the breadth of an edited handbook, but with the added asset of a coherent point of view." "Fernand Gobet, who is well-known as one of the world's leading authorities on expertise, has produced an excellent overview of the area in this book. Of special note is the impressive way he has integrated ideas and research from the fields of psychology, neuroscience, sociology, artificial intelligence and philosophy." "Fernand Gobet has been studying expertise for decades. And it is fascinating to read a book that attempts to synthesize all that expertise on expertise, not just within his own field of psychology, but across multiple disciplines, including neuroscience, sociology, artificial intelligence, and philosophy. If only more researchers were willing to take this truly multi-disciplinary and open approach to science, science would, I believe, be much better for it."